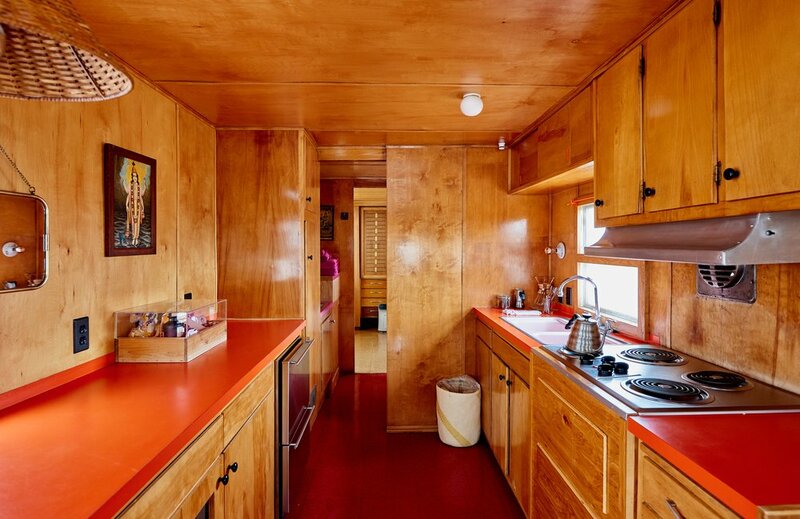 Think a new hip mini nomadic campground in the Texas desert, born in the artsy town of Marfa. 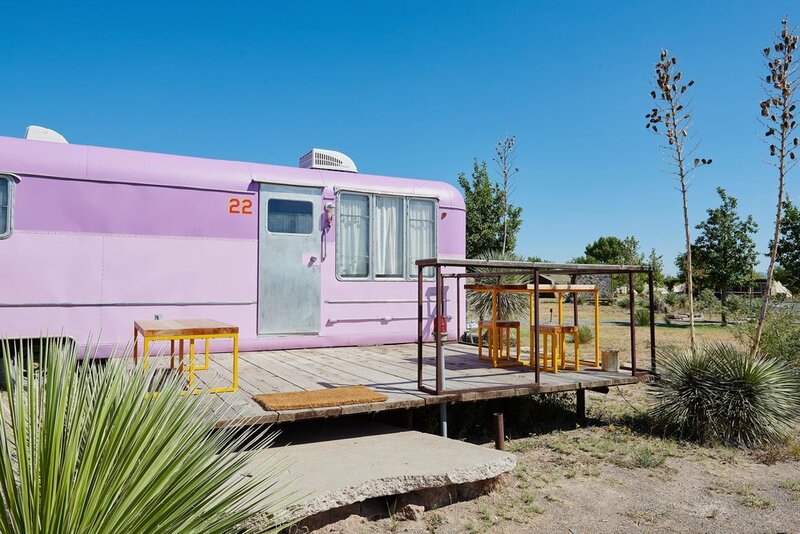 El Cosmico draws inspiration from the nomadic cultures, and is the perfect spot for the wanderer, the intrepid traveler, the artist, the ones looking for freedom... Think wanderlust, wild west, Devendra Banhart playing in the background. 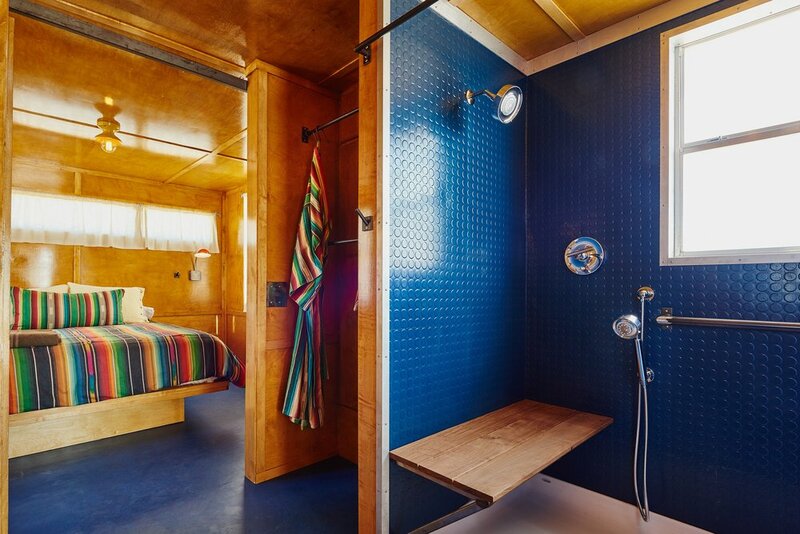 El Cosmico is a community lodging concept created by hotelier Liz Lambert, who is also behind Hotel San Cristóbal, one of our favorite hotels in México. This time, Lambert wanted to create a communal retreat that could cultivate artistic engagement and offer a temporary detox from the busy world. 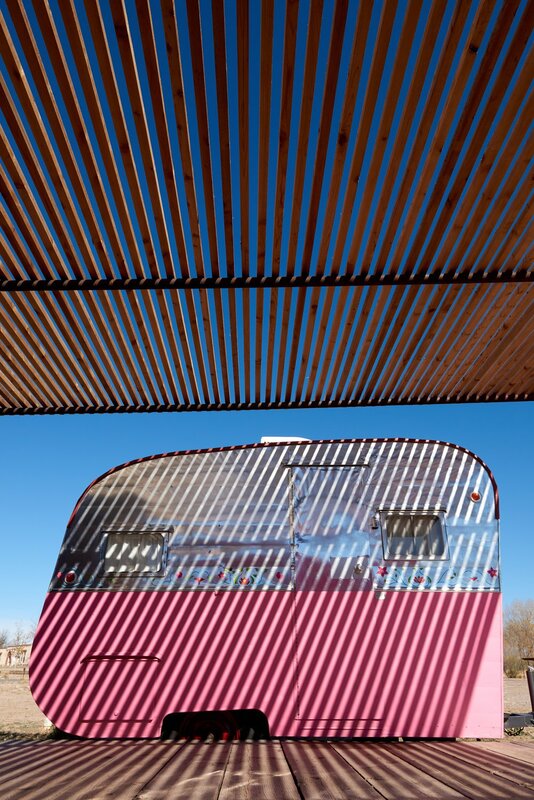 With this vision and the collaboration with Lake/Flato architects, they created an artistic campground full of vintage colorful trailers, yurts, tepees, tents and communal hangouts. A - well deserved and much needed - digital detox is part of the experience of staying at El Cosmico. 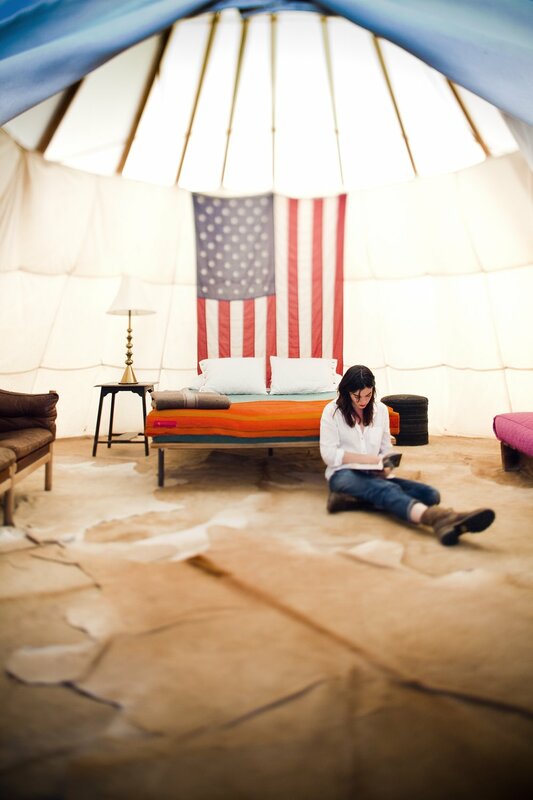 The lodging concept inspires to "get your hands dirty" through regular creative workshops and events focused on cooking, crafts, biking, stargazing and wandering around Marfa. 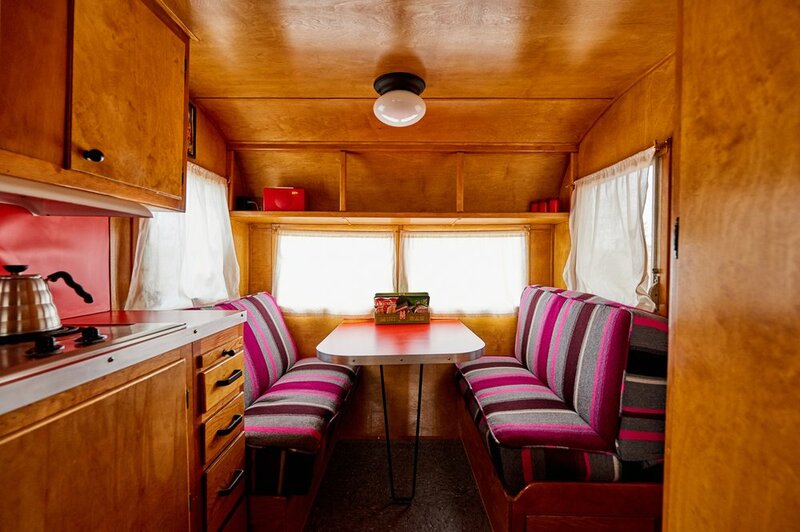 The accommodations include restored vintage trailers. 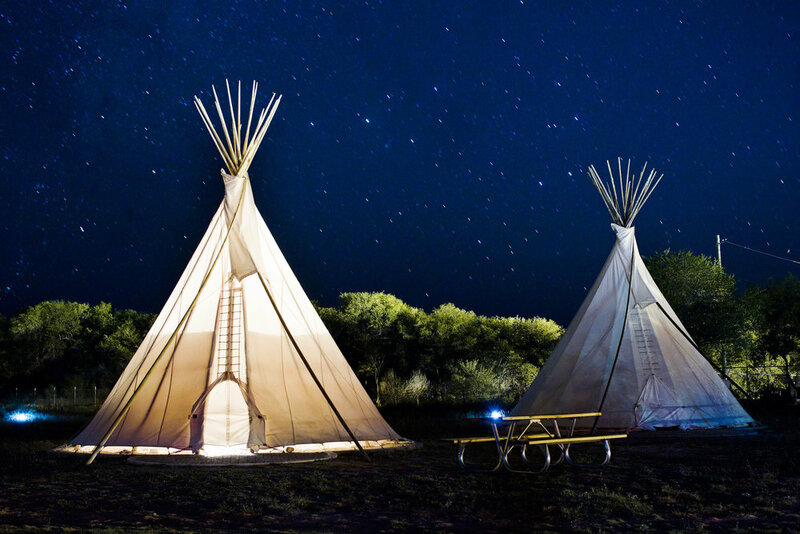 For the most adventurous guests, you can stay at safari and scout tents, sioux-style tepees, turts and tent campsites. The common spaces include a hammock grove, outdoor kitchen and dining area, a community lounge and mercantile called El Cosmico Provision co, outdoor stage...This is definitely a more rustic experience that you should not miss! Rates from $85 / night. – El Cosmico is pet-friendly – Make your reservations here. Photos courtesy of Bunkhouse , taken by Nick Simonite.